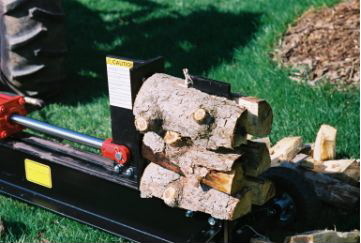 Our Patent Pending Log Splitter design is something that we feel is very special. It is a simple design that allows for a great deal of flexibility and customization. To date, we have only sold a few splitters in the original configuration. All the others have been customized to some extent. We pride ourselves on the ability to customize our splitters to meet the specific needs of each customer. 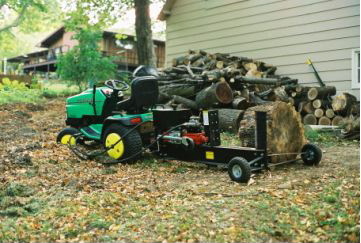 The fundamental idea of our splitter is to use the existing hydraulics on a tractor, skid steer, etc. to power the splitter. 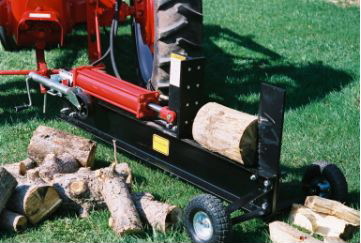 This reduces the cost of the splitter and utilizes existing equipment of our customer. Click here for more detailed specifications and pricing information.